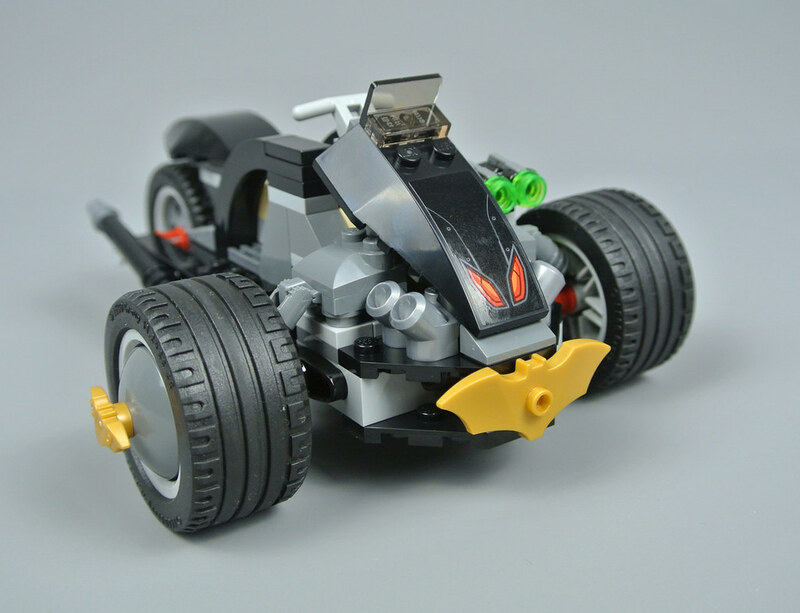 Batman possesses an arsenal of crime-fighting equipment and vehicles for any situation, many of which have already appeared in the DC Super Heroes theme. 76110 Batman: The Attack of the Talons, on the other hand, features a new motor tricycle so marks a very welcome change for the Caped Crusader, but not for the Super Heroes range as a whole. Furthermore, this set is the first to represent one of Batman's most dangerous modern foes, the Court of Owls. 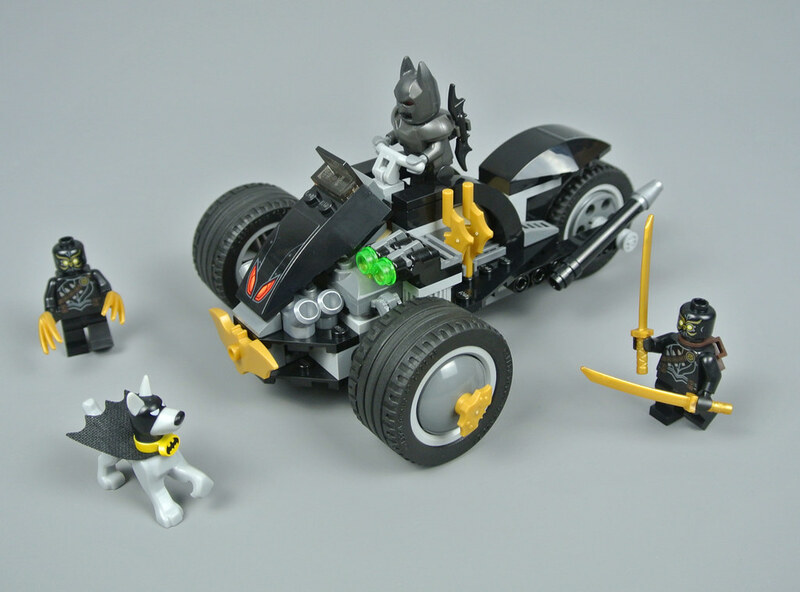 Two of their deadly Talon Assassins are found here alongside Ace the Bat-Hound, who is perhaps the hero's staunchest ally! This should therefore prove to be a fun set, combining the modern world of the Dark Knight with the Silver Age of Comic Books. This set includes an exclusive Batman minifigure, wearing his Thrasher Suit from the eighth issue of Batman (Volume 2). The armoured exoskeleton stands considerably taller than its Talon opponents in the comics and a larger minifigure would therefore have been fantastic, although the bulky pearl dark grey chest armour does lend it some additional girth. The two clips on its back are useful for storing batarangs but Batman's emblem is absent from the front of the armour, unfortunately. However, this is revealed when the chest armour is removed. I like the pearl dark grey colour scheme and the intricate tubing looks brilliant on both the front and back of the torso. In fact, it seems a shame to cover such impressive detail with an entirely separate piece. The legs remain visible though and are also highly detailed with some metallic designs, contrasting with the golden belt around Batman's waist. The pearl dark grey cowl looks pretty good but obscures a great deal of the head printing underneath. I think the alternative cowl with shorter ears may have been more suitable, although a new helmet would be the best option. It is a shame that the battle-damaged side of the head is not clearly visible through the narrow slits in the cowl as this looks marvellous, showing part of Bruce Wayne's face behind the visor. It works nicely without the cowl though. 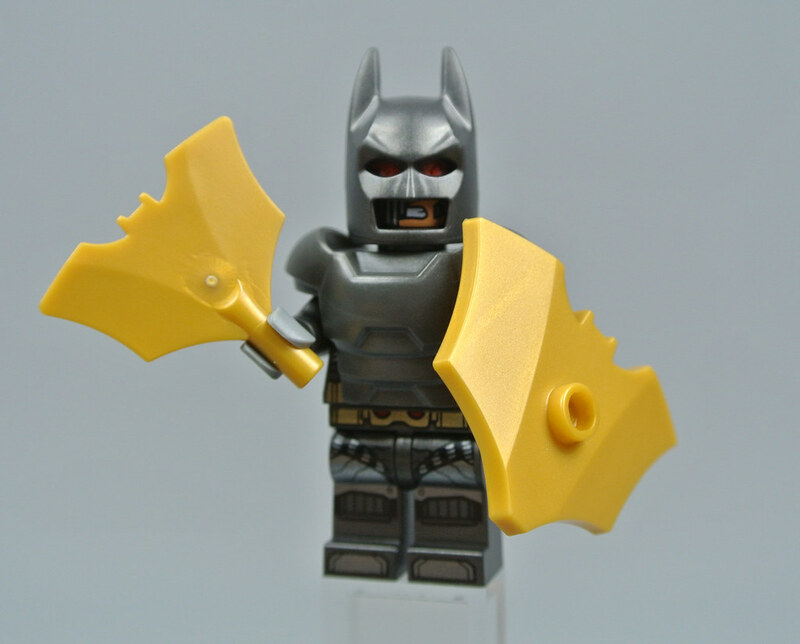 Batman is equipped with a standard batarang but the instructions also show him wielding larger weapons. These pearl gold accessories are designed to resemble different versions of the bat symbol and they come in their own bag, like the Power Burst elements that were introduced at the start of this year. They look alright as decorative pieces but most feel too large for accessories, especially those which are supposed to be used as batarangs. Ace the Bat-Hound first appeared in 1955's Batman #92, just a few months after Krypto the Superdog was introduced. 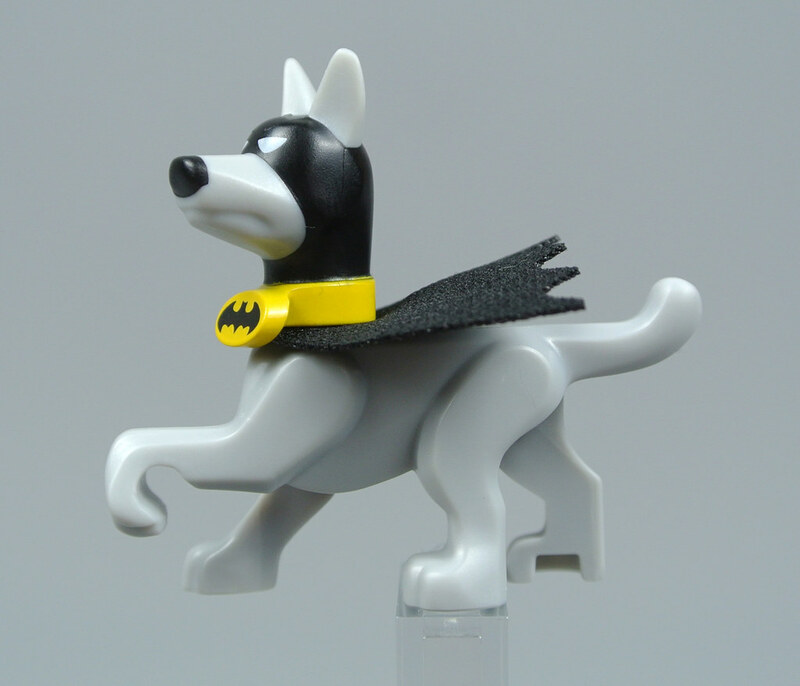 It therefore seems appropriate that the LEGO rendition of Ace has been released only shortly after 76096 Superman & Krypto Team-up, making use of the same torso and leg component but a new head which features pointy ears, a severe expression and a different collar. I love the cartoonish design of this character and his little cape is adorable, although he does seem slightly out of place in a set of this kind. The two Talon Assassins are relatively simple but look superb when compared with their comic book designs. 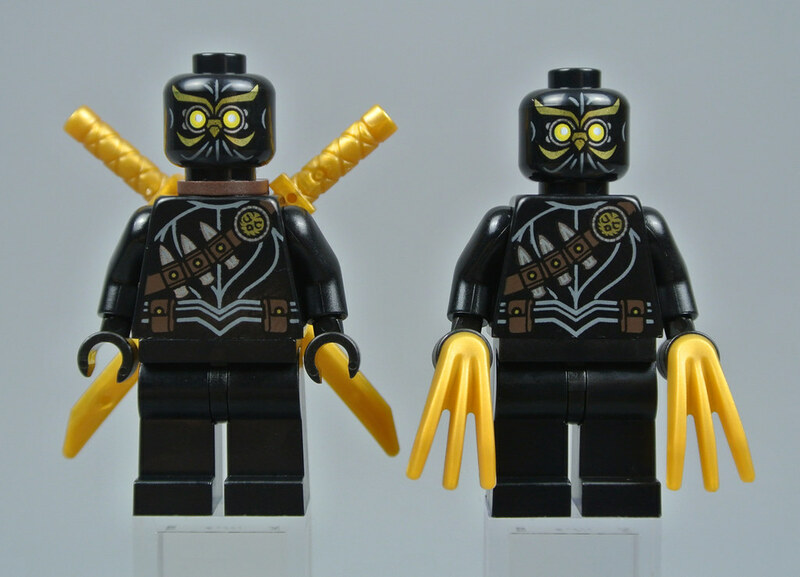 The black uniforms are imposing and I love the yellow goggles which cover their eyes as well as the surrounding metallic gold owl motifs, reflecting the assassins' fidelity to the Court of Owls. A few streaks on the front and back of the heads depict wrinkled fabric which is also accurate to the comics, where the Talons wear soft robes. 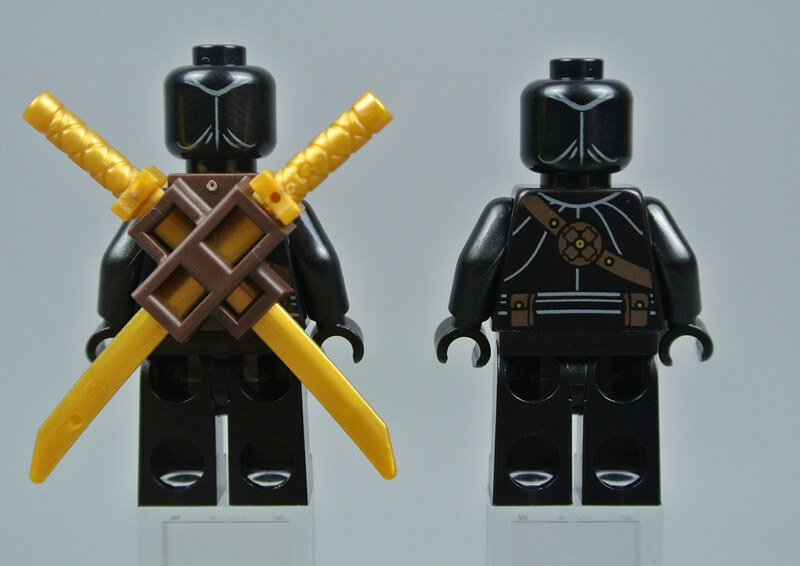 Each minifigure is equipped with a reddish brown bandoleer for keeping throwing knives and these are fastened with a lovely owl emblem below the left shoulder. Some printing on the legs would have been welcome but is not a necessity in my opinion as the characters' legs appear fairly plain in the comics. One assassin carries a pair of pearl gold katana on his back while the other is equipped with claws which have not appeared in this colour before. 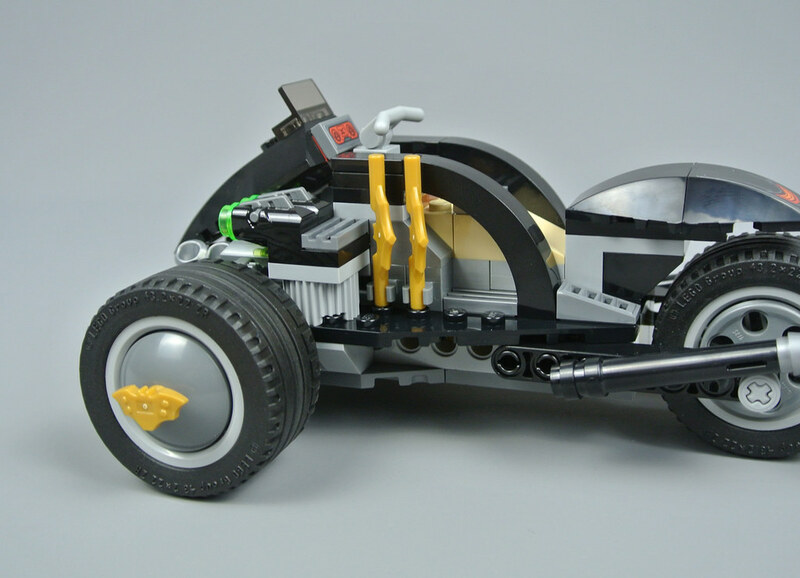 Batman's motor tricycle is quite substantial, measuring 15cm in length and almost 13cm wide. 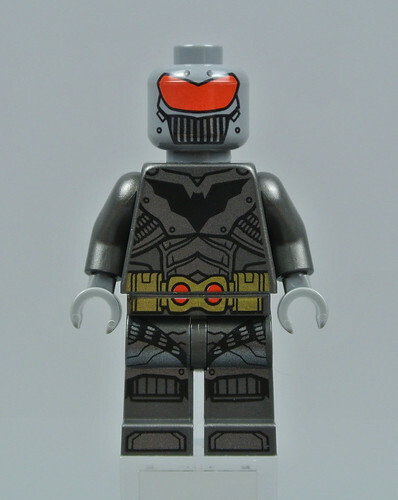 It looks very beefy and is oversized in relation to a minifigure, although that feels entirely appropriate given the heavily armoured suit that the Dark Knight is wearing. It is constructed around a simple Technic frame which is somewhat visible from certain angles but this serves a vital structural purpose, ensuring that the model will tolerate even rough play. A pearl gold bat emblem adorns the front of the trike and two smaller symbols are fitted to the wheels. These details look alright but it is a shame that there are not a few more golden highlights across the model to complement these. The large exhaust manifold is a pleasing inclusion and I like the simulated suspension beside the front wheels. However, functioning suspension would have been ideal and I think there is enough room for a simple rocking axle, akin to 75151 Clone Turbo Tank. 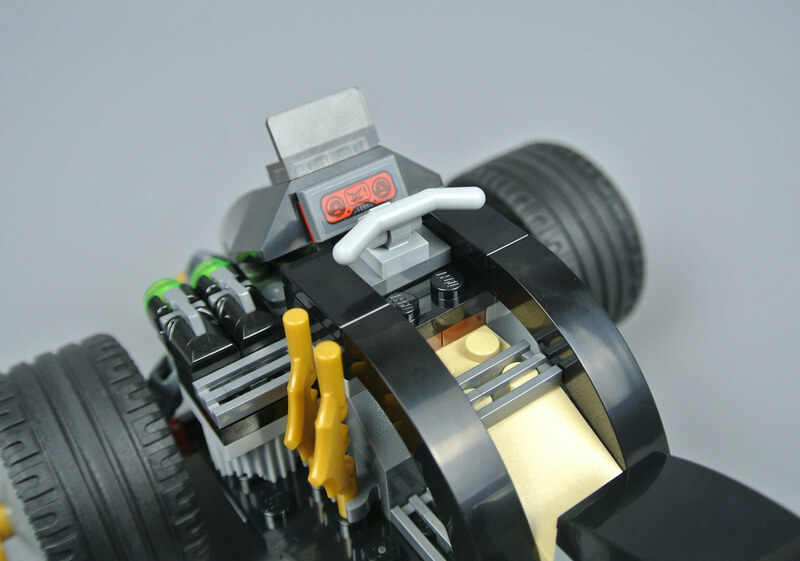 Two pearl gold batarangs are clipped to the side of the vehicle. Their shape is evidently inspired by The Dark Knight trilogy which I appreciate but they are extremely large in relation to a minifigure so look rather silly. Two stud shooters are also situated in front of the batarangs and these can be removed very easily and set up as a separate turret. Personally, I would rather they had been integrated more closely with the trike. There is room to place Batman at the controls, leaning forward slightly to grip the handlebars. A sticker forms a control panel in front of the driver which features the Court of Owls insignia alongside two dials. I like the tan upholstery in this area of the model but would rather it were more obscured when viewed from the sides as I think the tan pieces look rather strange between black armour plates. 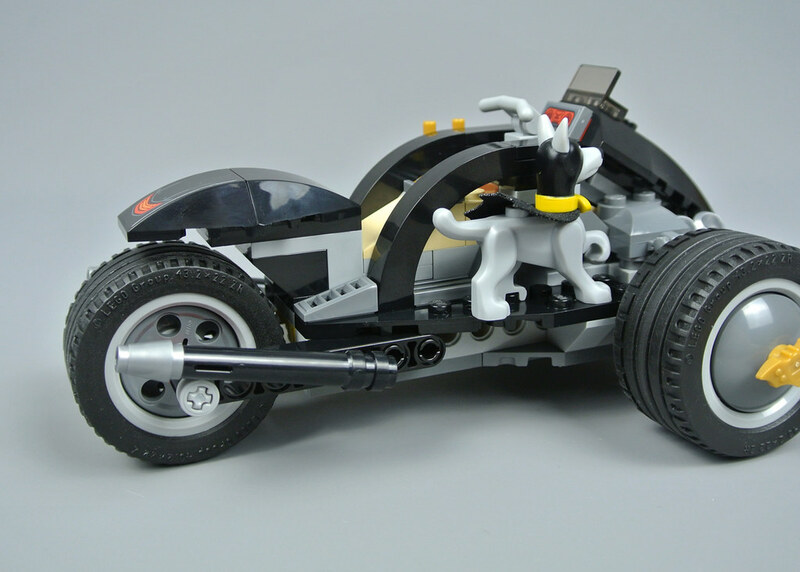 You can also place Ace the Bat-Hound on the other side of Batman's motor trike, as demonstrated below. He looks better than I was expecting here and I like the angled exhausts on either side of the rear wheel. Once again, a suspension mechanism would have been welcome and the Technic liftarms that support this wheel are not hidden very well but I think the curved mudguard looks good, decorated with a sticker featuring some tail lights. This set has definitely surpassed my expectations. I am delighted to see the Court of Owls making their first appearance in the DC Super Heroes theme and Batman's Thrasher Suit looks brilliant, particularly when the bulky chest armour has been removed to reveal the detailed printing underneath. Ace the Bat-Hound completes the selection of figures and should prove very popular, although I am not sure that he feels at home in this set. Batman's motor trike offers little display value but I think this is a fun toy. The functions are simple but work well and it feels very robust. 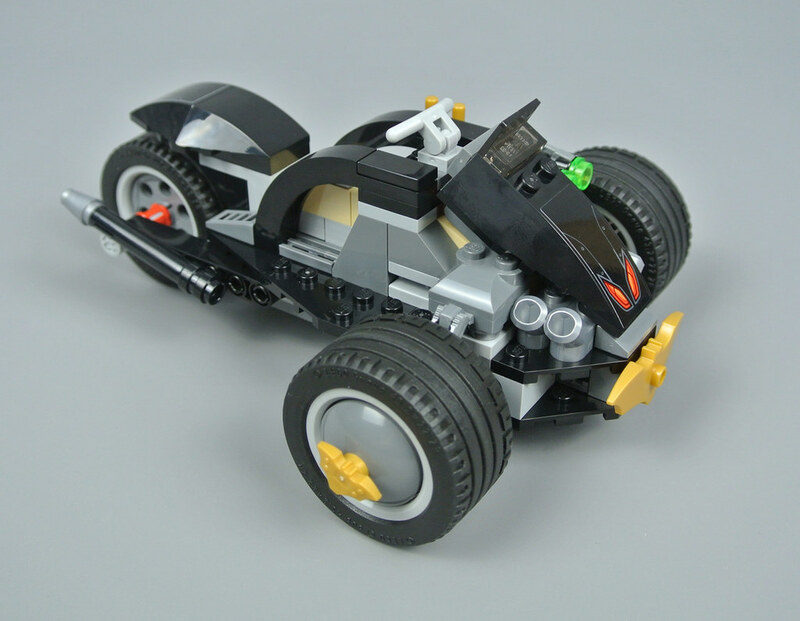 Moreover, it is pleasing to see a different vehicle for the Dark Knight as numerous versions of the Batmobile or the Batcycle have already been produced. I would therefore recommend this set at a price of £19.99 or $19.99, although adult Super Heroes fans will probably find more enjoyment in the figures than the actual model. I think the battle damaged face is supposed to be used with the cowl off. I consider buying this set pure for figs and pieces. Many of the pieces used in the set are great for MOC-ing. Also te miifigures could be easely intergrated into a Ninjago style city, because they are basicly ninjas. Also I love the new batman look, but I'd remove the body armor and give it to another figure in my collection. 'The Court of Owls' is what got me back into Batman comics, and into Lego again (after a significant dark-age), so I've been anticipating this set ever since it was revealed. Sadly, I think the set is a little lack-lustre. The motor-tricyle is completely out-of-place and adds nothing to the theme of this set, let alone the inclusion of Ace the Bat-Hound. Lego should have done a set based on the scene where Batman emerges from his massive suit vault wearing the Thrasher Suit. Would have made a nice change from all the vehicles we get. and a nice addition to the batcave. Come to think of it, think I'll have a go at MOC'ing one after I pick this up. Also need me a few more of those Talons! The two owl assassin's look wonderful indeed, my wallet is glad however, that this is not on my list. @Trigger_ - No, the battle-damaged face is shown in combination with the cowl on the back of the packaging. However, you could display it with the cowl removed, of course. That figure of Ace the Bathound is a must have! The Talons look great too, and part of me wonders how the NEXO Knights chest armor would look on the Batman figure. What do I like? Most of the Batman minifig (though Bat-exhaustion is sending out tendrils), and the Court of Owls figures. What do I not like? Everything else, especially Ace. I hate super pets. Having said that, however, seven-to-ten-year-old-me would have loved everything about this. So I hope all the kids out there who get this enjoy it. I'm not Lego's only customer. Kind of strange how one of Batman’s lightest allies and a fairly kid-themed vehicle are in a set based on one of the darkest Batman arcs, at least from what I know of it. I like it a lot! Good way to get a nice version of Batman and of course Ace which is pretty rare, in a cheap set. And this bike looks like it can roll over any bad guys who could have the will to stay in the Dark Knight's way! I really like the design of this never seen vehicle. And the four minifigs are great. Ace's colors are good, I like the contrast between light grey, black and yellow. Thanks for the review. This is one of those Batman sets that I'm not sure about. The gold accents on the bike and the batarangs are cool. I'm just not really excited about the build. I'm not interested in the Court of Owls either, but I do really want that Ace! Wow, that's a great Batman fig! Will definitely get this for Bats and Ace; once it's discounted it's actually going to be great value. The assassins are fantastic. Everything else... meh. Especially the bat tricycle. I'm not too familiar with Batman lore outside of the 60's show and some of the cartoons, so the first thing that came to mind when I heard "Court of Owls"? One of those sets where it’s all about the minifigs and not the build......and I’m fine with that. I’m a bit bemused as to why - when this is a near Hulk Buster equivalent suit - they couldn’t have made this a ‘mech’ set; where decent source material actually exists, as opposed to making it up. Sadly feels like a missed opportunity to me. Yeah, I'm not so keen on this set. Ace is nice to have, but seems out of place, and the trike looks hideous. Definitely sign me up for the Brother Eye set with Batwoman, though. I think more of the classic Justice League would be more welcome, kinda like the wave at the beginning of 2015. I think I like the Brother Eye takedown more than this set, though. Is this then a new colour for LEGO, or do they treat it as the same as "standard" pearl gold? I mean, it should be a new colour as it looks very different to the other, and much better at that imho I might add. 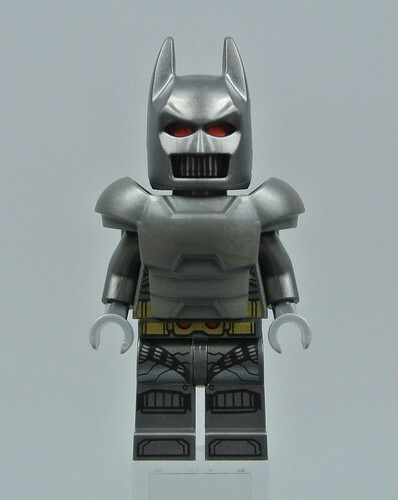 I must have the Batman-minifigure!!! 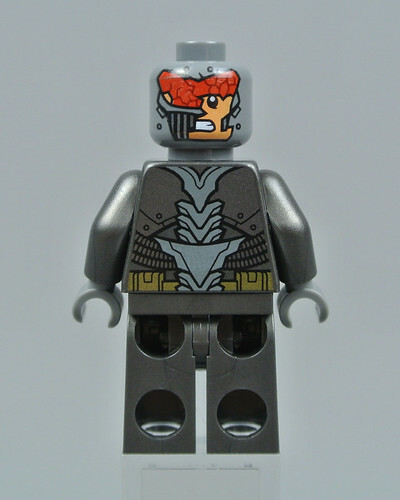 It is quite interesting how LEGO have done a set based on a really very dark Batman storyline, but I suppose they haven't included the Court members with masks. Still, this looks cool!